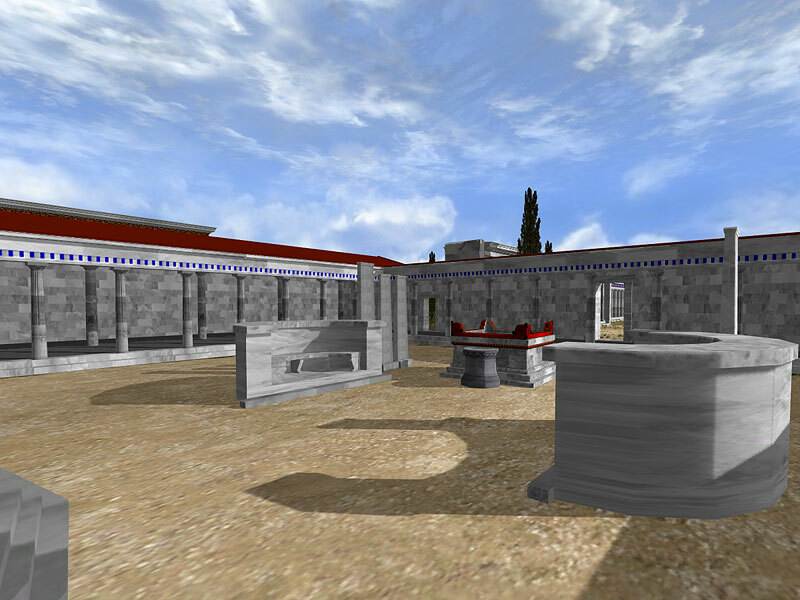 The sanctuary of Apollo Delphinios was built at the area of the Harbour of Lions, in the 6th century BC. It was the point of departure of the annual procession to the sanctuary of Apollo at Didyma. 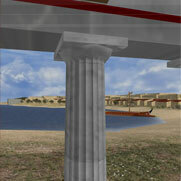 The temple was devoted to Apollo Delphinios, patron of sailors and ships. The Archaic sanctuary of Apollo, now mostly ruins, was preserved until after the Persian destruction (494 BC), during the 5th century BC. 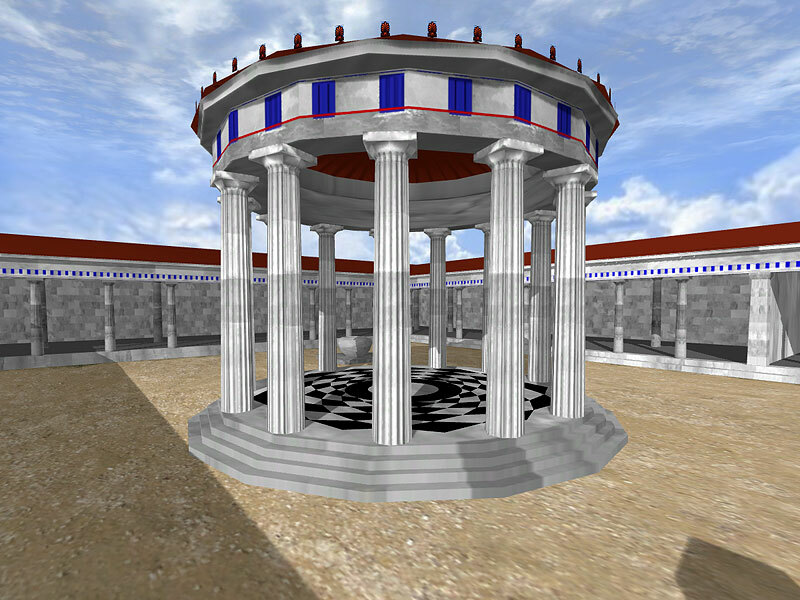 It had the form of an open-air temenos with an altar in the centre. 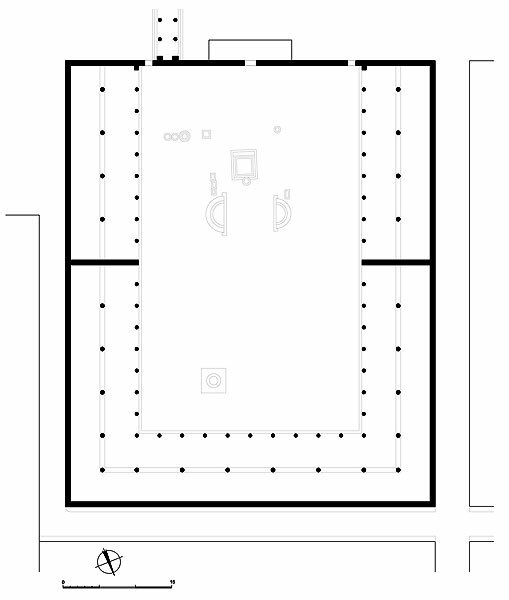 During the Hellenistic period the sanctuary was enlarged to finally measure 60X50 metres, the equivalent of two building blocks of the Hippodameian city, and it was also surrounded on the three sides by a Doric portico. In the court, there were exedrae, altars and votive offerings. 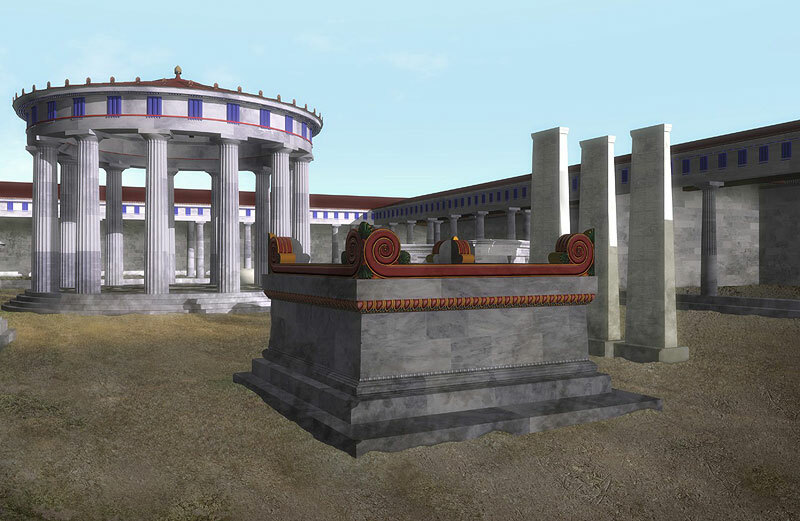 During the Roman period, a circular peripteral temple with a pyramidal roof was built in the centre of the sanctuary, the stoas were rebuilt and were crowned with Corinthian capitals, while a propylon was added on the west side. 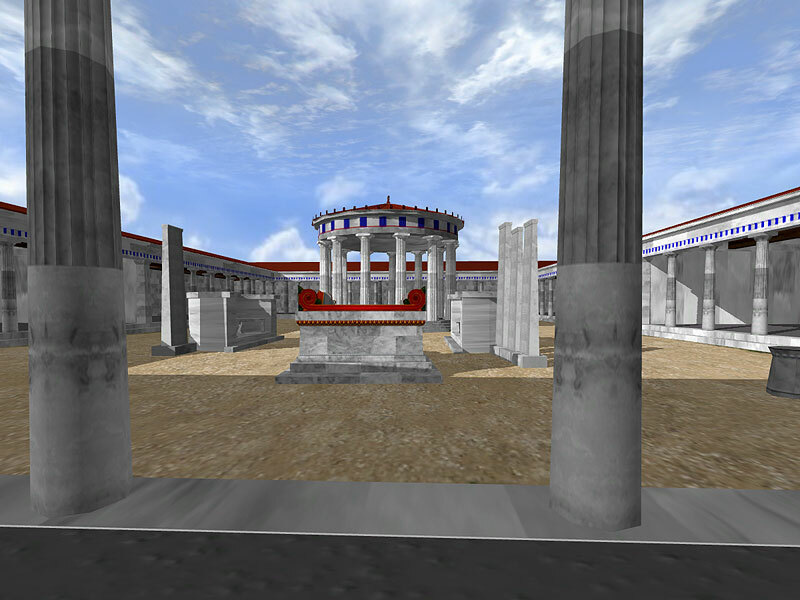 Inscriptions found on the inner walls of the stoa and on the inscribed stelae of the peristyle court indicate that the Delphinion served as the city's archive.